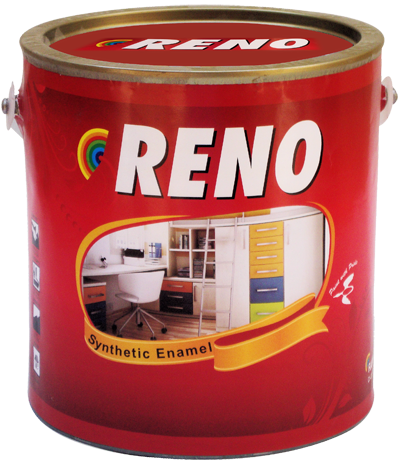 Reno Synthetic Enamel is good quality synthetic enamel for interior & exterior use. 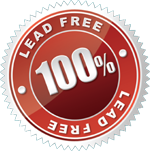 This can be used on steel, concrete & wooden surface. This gives high gloss & tough finish. Smoothen the surface by sand paper and apply a coat of Rainbow Synthetic under Coat followed by filling. After filling is dry sand paper the surface and apply 2 coats of Reno Synthetic Enamel. Remove all the rust by sanding, rust removing solution or by flame, and then apply one coat of Red oxide primer followed by 2 coats of Reno synthetic enamel. Colour: As per Reno shade card. Covering: 16-18 Sq meter/liter/coat. Film Tickness: 25-30 micron Number of Coats: 2 Coats for better finish.